Do you think of trees when you think of the beach? Me neither. But the Outer Banks of North Carolina aren’t your typical beach. Rife with history and lore, OBX also sports a beach on both the sound and the ocean, making for an incredible variety of beauty and options for activity. 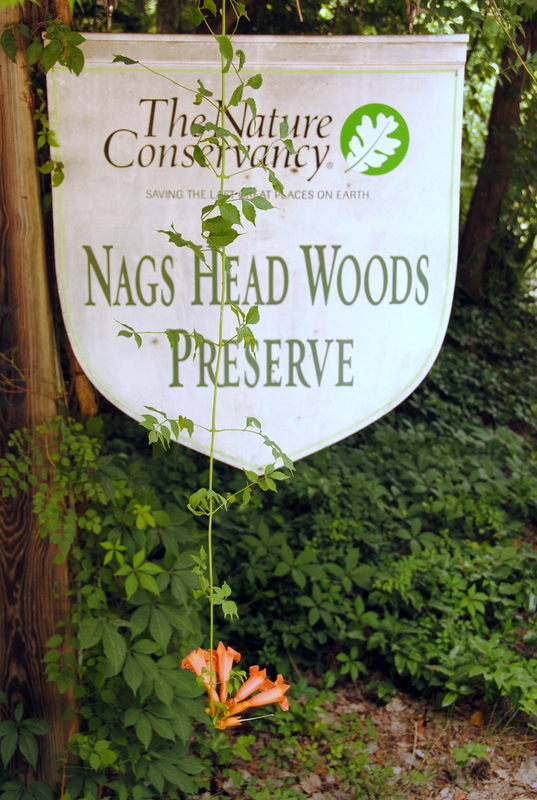 So finding the tree-based Nags Head Ecology Preserve preserve really fits right in. When the entrance sign to a place is lovely and compelling, you’re off to a good start. Fret not, it’s isn’t. To get to the good stuff you walk down the road and wonder, “Am I headed in the right direction?” You are. Turn left at the gap in the fence and then the majesty begins. A bridged walk over the marsh presents a landscape that’s naturally framed for photos. 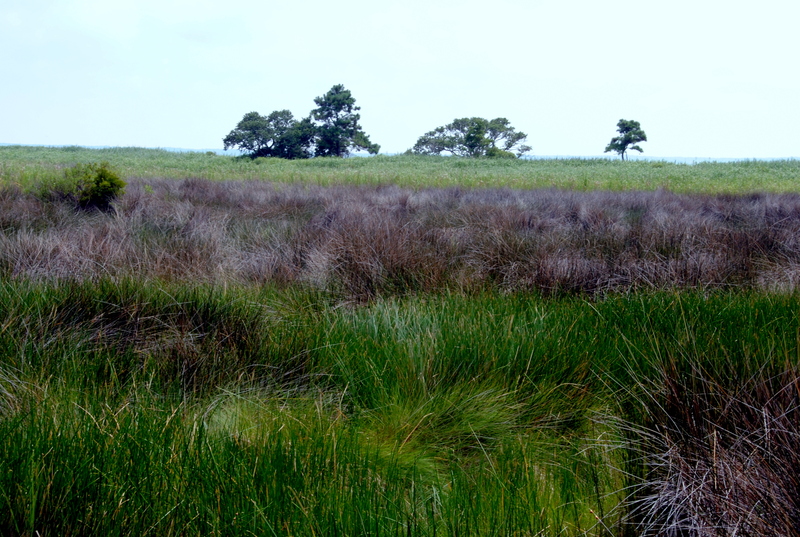 Trees abut the marsh, giving height as contrast to the evenness of the seagrass. And then you’re on the beach…while also in the woods. But a lot of the woods have taken a tumble…because of their proximity to the beach. It’s shaded and delicate and divine. 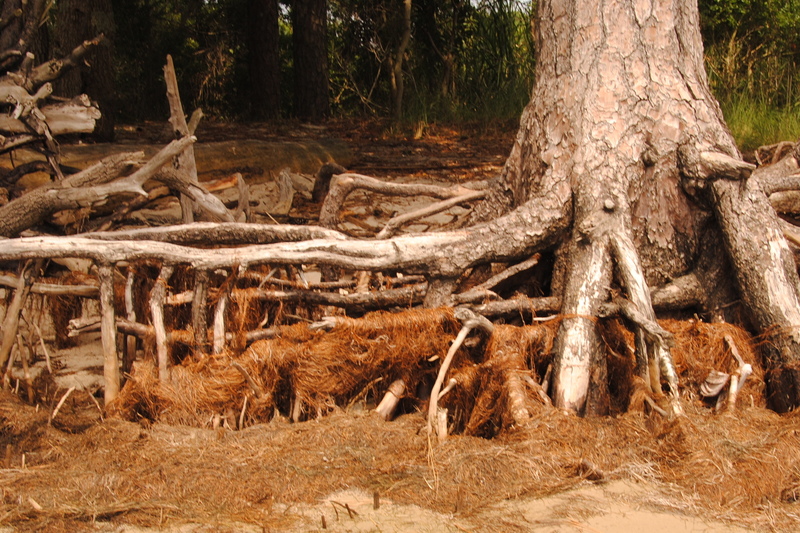 There’s pattern from the exposed roots and smooth texture from the wind and water. It’s a lot to take in. So I sat down for a spell and enjoyed what nature made and others preserve. What juxtaposition of nature has caught your eye?